Outside of your core muscles, the hips are probably the most important muscle group in the golf swing. They help your hips to twist and also transfer all of your leg strength up into the trunk muscles. It’s that energy transfer that helps to send that little white ball farther down the fairway. Most golfers who workout do work on their hip strength. The unfortunate part is that most are going about it all the wrong way. 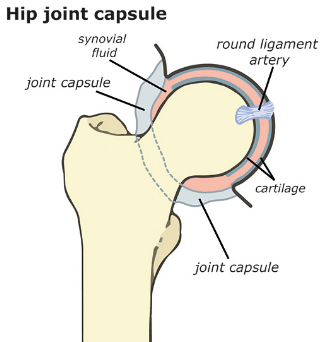 The hip joint is a very dynamic joint. It is a ball and socket joint just like the shoulder. The great thing about the hip joint is that it can move in almost any plane due to its kinematics (scrabble word, 800pts). That allows for all the movements that happen during the golf swing. Most people think there is just a twist at the hip. The truth is there is a natural twist, squat, and lateral shift happening at the same time in the golf swing. If it happens during the golf swing why wouldn’t you train that way? When most golfers hit the gym they might do squats/deadlifts, and some lateral walk or side lunge. Awesome! I’m not saying those are bad to do. I certainly do them when I go to the gym. What I think is important is to incorporate all the movements of the hip joint into one exercise. That way when you make a golf swing your body has been trained to moving through all those planes of movement and can transfer that energy more efficiently. That will equal more power into the golf ball, and hopefully a lot more distance. So I’ve teased you enough. You are probably saying at this point “what exercise does all this at once? That sounds like an infomercial.” PNF (Proprioceptive Neuromuscular Facilitation) patterns are the way to go. They are simple patterns that move the hip through all the ranges of movement in one movement. Here is a quick video that will show you how to go through the patterns on your own. I prefer that clients do it without holding on if they can. That way you are working on balance as well which is also very important in the golf swing. I also will have people start with moving slow so you have to own the movement. Once that gets easy add some speed to it. Just don’t move so fast that you start to lose your balance and fall over. If you can’t do it with the resistance band at first that is okay. Just work on the patterns without resistance until it gets easy. You will definitely feel the burn in your hips when you do these exercises (take that Jane Fonda). Work on this over the off season and see how much farther you hit that golf ball once winter is over.